When I saw this book on goodreads I was so excited to read it! I am a fan of Mia Asher and the synopsis pulled me right in! Two strangers meeting in Paris! Somewhat forbidden love! Count me in! That cover!!!! It was a quick read for me. It did keep my interest through out most of the book. You meet Valentina, a unhappily married women needing an escape for a little while from her homemaking wife status. She meets Sebastian, a beautiful man with a heartbreaking past that Valentina can not seem to stay away from. I found myself rooting for them the whole time because Valentina's husband was a terrible human being. I found myself not connecting with this story. I liked it but for some reason just couldn't connect. Some things happened that I felt were just totally unnecessary. I found that Sebastian's character wasn't really what was described. My major issue with this one was the ending. It just ended. This is a prime example of needing an epilogue badly! I honestly think I would have rated this one at least 4 stars if I had an epilogue at the end. It was just a short sentence and the words the end. I was thinking to myself; "thats it?" I kept swiping at my kindle to get me to the next page and then I looked down and I was at 100%. These are my opinions and I seem to be in the minority. Pick this one up and decide for yourself. Happy reading! 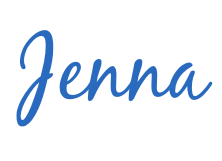 Thanks for review Jenna, and I like an epilog also!